For over 83 years, Liberty Sport has actively been selling within the Canadian market. Originally with ophthalmic product manufactured by Liberty Optical and distributed by Imperial Optical, the company has evolved into the manufacturing and distribution leader of Rx’able protective and performance sport eyewear. 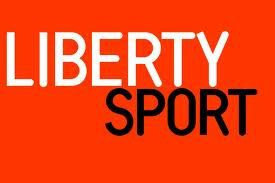 Liberty Sport can provide all sports vision needs from protective sports eyewear to sport performance sunglasses covering a wide range of sports and performance lifestyle categories. All of their products are 100% Rxable and offer the complete Rx, including free single vision, through Liberty Sport Labs. Heading up the Canadian division is Pat Salamat, vice-president of sales. Pat joins Liberty Sport with more than 20 years of sales and management experience working within the Canadian marketplace. He has worked for a variety of optical companies in the past including Marchon, Marcolin and Imperial Optical.